Last week, I was at Lonavla to attend an annual conference on financial planning organized by our association- Financial Planners Guild of India. After two days of intense session of learning, we decided to explore nature and what better way to do it than a trek to Korigad Fort! Boy! Was I prepared? Of course, not! First, I have never trekked in my life! Two, I did not even carry a comfortable walking/trekking shoes with me. Though, I was informed that we might go for a trek (if the skies were clear). Third, I always thought that I will need to reduce my weight and be fit before I go for trekking. This was a good excuse every time my wife ( an avid trekker, till she got married to me!) will suggest going for a trek in and around Mumbai and other places in India. She had fulfilled her dream to trek to Ladakh and specifically Nubra valley and Pangong Lake in Himalayas ( Aw..every time I see the 3 Idiots climax scene, I do get inspired that I need to get there one day by foot!) She wanted to get me started on trekking and Mumbai (thanks to being close to the western ghats!) being so blessed with a number of wonderful trekking spots. It was a sheer coincidence that during our sessions I was requested to present on a topic focused on ‘change’ and how we need to be role models before we expect change from our clients. Add to it, our guest speaker Gaurav Mashruwala stressed on the importance of ‘Exploring Nature’ as one of the key factors for better work-life balance! Next day morning, my friends from FPGI were all set for the trek (the attire, shoes,etc) and what a contrast I was! See the picture for better effects! I realized that I had never gone on a trek in my life and this is the best opportunity to explore when I have my friends to encourage and support during my endeavor! It was an enduring experience climbing the fort and what a sight it was! On top of the lush green fort there are two small beautiful lakes and while standing/walking (2 km perimeter! )on the wall of the fort, you are in for a visual treat- a breathtaking view of the hill, villages below and the misty mountains!! This was so heavenly and I felt on top of the world! 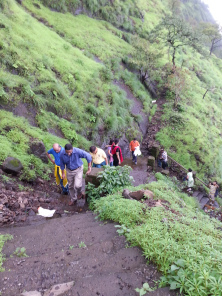 Add to the joy, while climbing down, the rain gods welcomed us! I suddenly felt so light, with both my body & soul cleansed! 2. The peer group motivation and support helped me overcome my lack of energy and desire to immerse into the activity. 3. I focused on the ‘Now’ every moment as I climbed up. Every once in a while I will stop for a few moments and take a deep breathe or two while watching the sheer beauty of the hills. 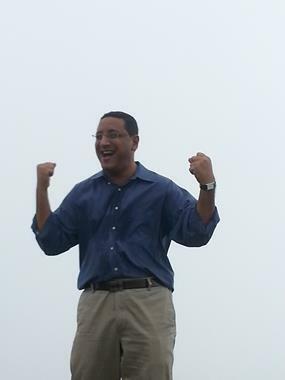 As one of my peers said it rightly, ‘Our objective is to get to the top and not compete to get there first’! 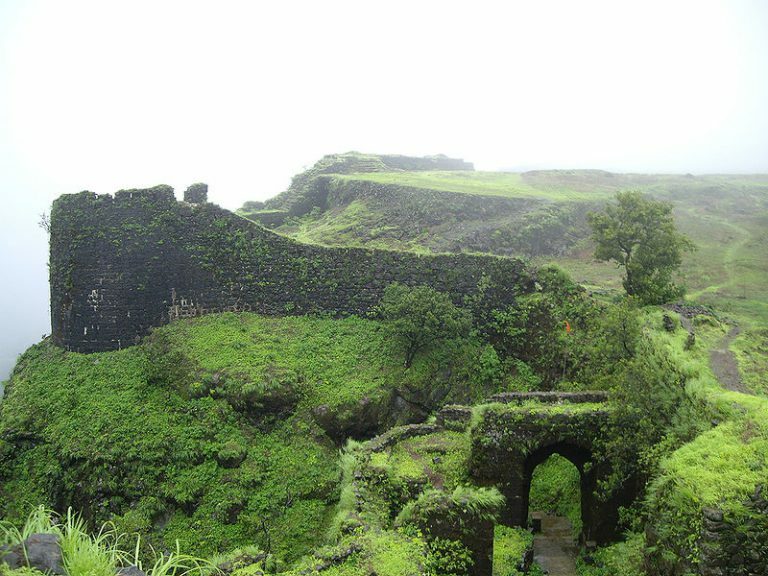 Koraigad Fort – A life time experience that will remain in my memory forever! Thanks to my wonderful friends at FPGI!! I am grateful and appreciative for the ‘change’ all of you brought in me! I am now ready to go on regular treks with my wife/friends. And soon to Ladakh and the famous Pangong Lake!! What about you? Is there some event that triggered the change in you? Would love to hear stories from you. 0 responses on "Change and The Joy of Trekking!"